A quick history of 5U. In the 1960’s a certain Dr Bob began to develop a new type of sound making machine. After a few years building and selling Theremin kits, Bob was beginning to form some circuit designs that would ultimately become a line-up of Moog Modular synthesizers. In 1964 Bob presented one of the very first modular systems of his design at the AES show and this is where 5U was born. Unlike other modular designs that were being developed at the time, Dr Bob decided that it would make sense to have a familiar input device to control his modular systems, as such the 953 keyboard system was developed to allow musicians to interface with this unusual machines in way that seemed familiar. The Moog Modular was really brought front and centre when a certain Wendy Carlos released a somewhat groundbreaking album 1968. Switched on Bach was a turning point for electronic music, it was a body of work that proved that a synthesizer could be used to perform complete pieces of music that were not just abstract in nature, but true pieces of “real” music. This is where the Moog modular began to gain popularity and even found its way into some of the pop music of the time. The 5U format adheres to all the modern standards we use and take for granted nowadays: Bob decided that the oscillators would track to a 1 volt per octave input and there would be a separate system for turning functions on and off, this system is commonly known as CV and Gate and is found on literally everything. 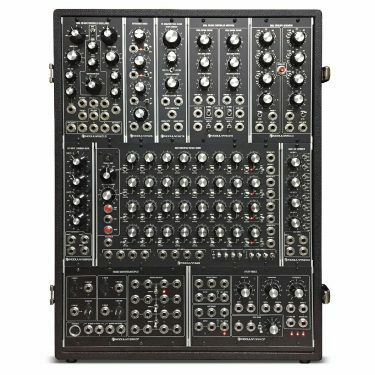 Throughout the history of the “modular synthesizer” there’s obviously been a fair few formats to come to fruition, for example Wiard, Buchla, MOTM, Frak-rack and most notably Eurorack. Euroracks voltage standards all follows Bob’s original spec, where 1 volt corresponds to the western scale of 12 notes or a complete octave. All that’s changed is that S-trig and V-trig have been replaced by a simpler system of gates for controlling all aspects of triggering. 5U uses ¼” jacks and in certain Moog systems Cincon Jones connectors are used for the switch triggers (or s-trig), and given that they are 5U in size, modules themselves feel more substantial than some other formats. For starters the sound quality is simply unlike anything else you ever heard. 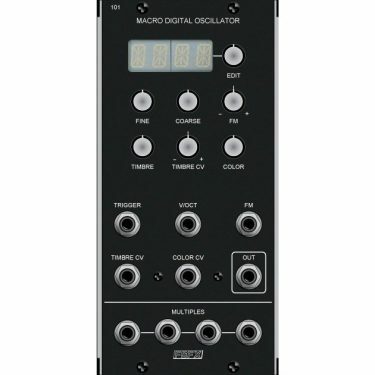 There's this simplistic, raw and unyielding quality of a well designed oscillator going through a big low pass, that is technically repeatable on other synthesizers (duh! ), but a 5U system does it like nothing else. The feel and workflow of a 5U system just can't be matched. Big Cosmo knobs, hefty positive 1/4" jacks and a open friendly front panel design, that even on the busiest of modules, never feels cramped or awkward. And one for those who are aesthetically challenged...5U looks cool :) I mean, it just does, doesn't it? So is 5U for you? 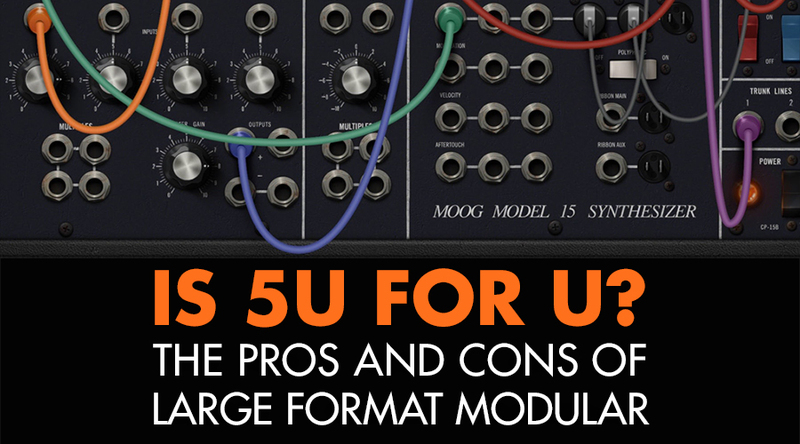 Well this is the big question, what does 5U offer me that other formats do not? Well we've already covered the sound quality, the feel and the aesthetics, what about function? An argument I've seen int he past is that there's not enough choice in the 5U format and that argument is starting to be quashed all the time thanks to a few elite builders who exclusively adhere to the format and develop new ideas. 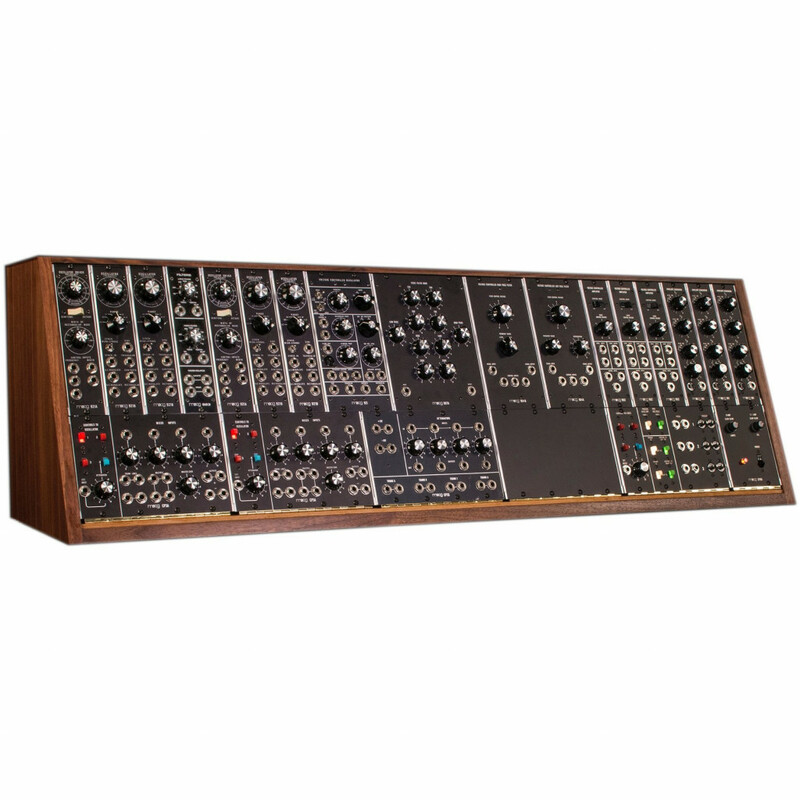 Moog reissued a selection of their legacy modular systems back in 2015, in fact we've been lucky enough to have a System 15 and we also have in stock a System 35, but outside of those reissues, getting hold of a real Moog 5U module or system, was a rare and expensive opportunity. Thankfully there have been a lot manufacturers who have continued to build 5U modules when Moog had stopped developing the format, and in fact there's new builders coming onto the scene, like Paula Maddox Aka. Dove Audio who have just announced an MU / 5U format oscillator called WTF. Moon Modular, Free State FX, Corsynth, Analog Craftsmen, Synthetic Sound Labs and Frequency Central are all brands that we carry and develop a range of 5U modules, and within those few manufacturers alone there's a deep catalogue of modules that cater for every possible application you could imagine. To argue there's not enough choice..well it's simply not the case. So is 5U for you? Well if you're after the best sound quality, then yes and if you're looking to build something unusual, then yes....thanks to the wide array of modules available you can literally design any form of system you might desire. And hell...it's not like you can't plug your Eurorack into it anyway....."Oh hey Maths, how are you?"